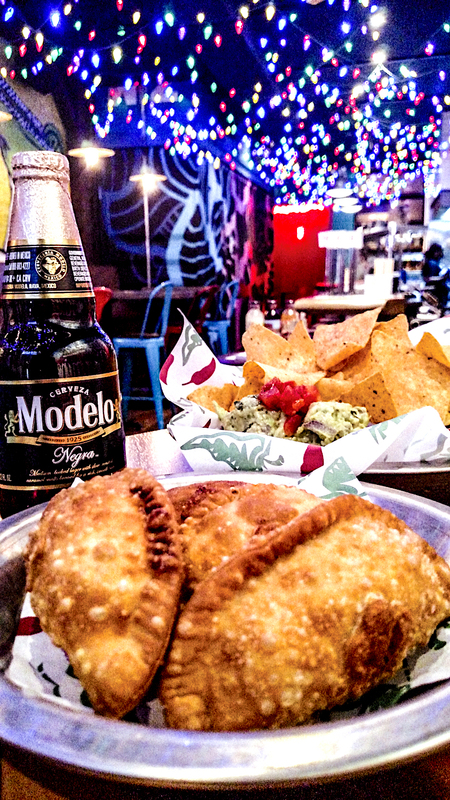 Fajita Factory will celebrate National Empanada Day with a whole "lotta" empanadas! On Monday, April 8, the Lakeview-located Latin restaurant will feature buy one, get one empanadas from 5-10 p.m. Guests may choose from savory selections (beef and cheese; smoked chicken; Hawaiian; smoked BBQ brisket; kale and chickpea; buffalo chicken; loaded potato) or decadent dessert empanadas including Fruity Pebbles cheesecake, s'mores, bananas foster cheesecake, and Oreo cheesecake. It's 'nada party without beverages. Pair your empanadas with Fajita Factory's list of large-format Latin libations and cerveza selections served in 20 ounce vessels.